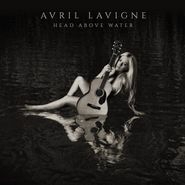 Canadian pop-punk princess Avril Lavigne makes a triumphant return on her brave new LP, Head Above Water. Her first album in five years, the LP was written as a response to Lavigne's 2014 Lyme Disease diagnosis; the result is a raw, vulnerable, powerful collection of songs that showcase the artist at her finest. Lavigne's career has taken her from those early days making infectious, perpetually snotty rock/pop to a very impressive now, when she's creating heartfelt, gorgeously open piano ballads. Head Above Water is a strong, dramatic, and ultimately triumphant new album that'll steal your heart as well as catch your ear.